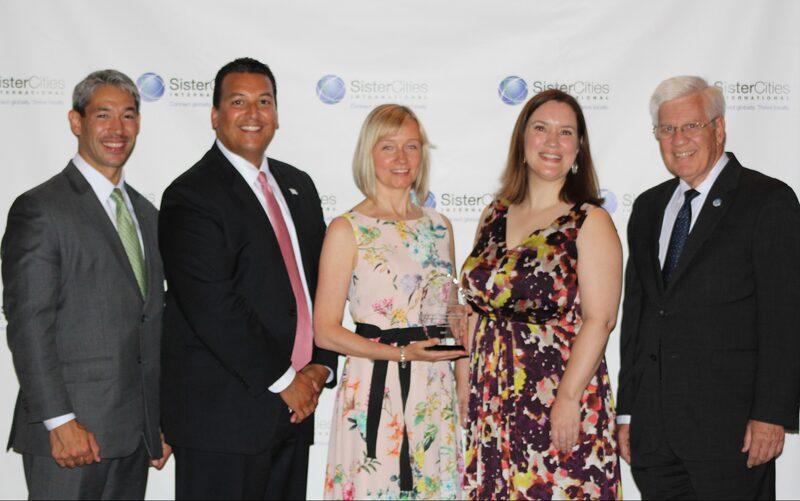 At Sister Cities International, we know that the work our members do to promote peace through mutual understanding, respect, and cooperation changes the world–one individual, one community at a time. 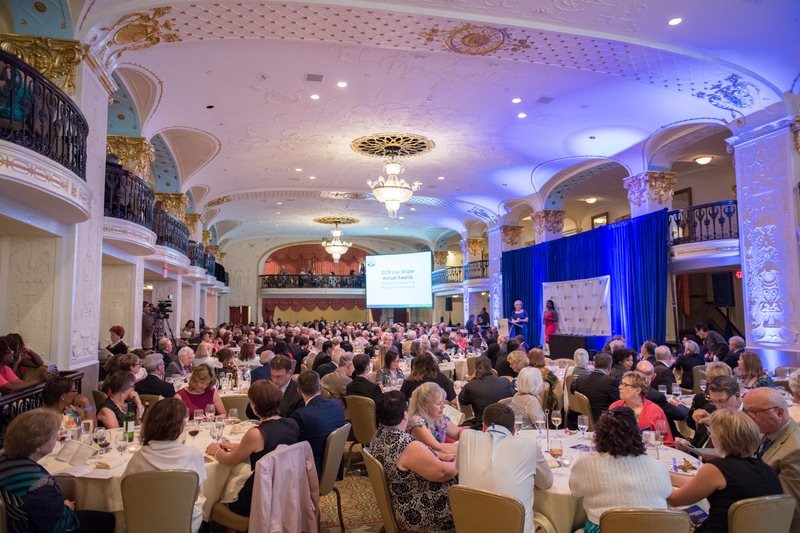 Since 1962, we have recognized a few of our most outstanding members all over the nation for the work they’ve done in the last year to advance the citizen diplomacy movement through our Annual Awards Program. There are 4 award categories broken out by city population size: best overall, innovation, volunteer of the year, and youth leadership. The innovation category has five subcategories that span the variety of sister city programs: arts and culture, business and trade, humanitarian assistance, and technical & professional assistance. We’re excited to announce this year’s Annual Award winners at our 2018 Annual Conference, Cities Leading the Way, in Aurora, Colorado from August 2 – 4. Sixteen outstanding members and programs, each of whom has made a marked difference in their communities, will be recognized on stage during our Lou Wozar Annual Awards Dinner and Gala. Our Annual Awards winners set the standard for what it means to be a citizen diplomat. If you see them at the conference, be sure to reach out to them to share congratulations and to knowledge share. The more our members work together to improve their communities through the lens of international cooperation, the more successful we all are in advancing the original vision of President Eisenhower. We are thrilled to share the Annual Awards winners below. To learn more about each member’s work, please click on their program names. The Hays Sister City Committee reached new levels of engagement in 2017 with its sister cities Xinzheng, China and Santa María, Paraguay. Hays and sister city Santa María re-signed their MOU in front of more than 300 attendees at the official Hays sesquicentennial celebration. This renewed commitment led to a fundraiser to provide new lighting to a museum in Santa María that was built as a joint project between the two sister cities. A delegation from Xinzheng, China was also present at the sesquicentennial celebration and participated in the official inauguration “Worlds Apart, Cities Connected,” a sister cities-commissioned permanent art display, at the Hays Public Library. The sesquicentennial celebration cultivated a stronger relationship between all three cities that will lead to increased sister cities involvement in the upcoming years. Sister Cities of Jasper expanded the presence of their partnership with Pfaffenweiler, Germany from within the community into wider Dubois County in 2017. Besides administering their annual high school student exchange, Sister Cities of Jasper celebrated German American Day: an annual county wide dinner on October 5. The dinner, which Sister Cities of Jasper puts on with the help of other local organizations, featured the German Heritage Award, which went to an individual or group dedicated to preserving German heritage in the area. Selected high school students in Jasper also received a scholarship from German American Bank. Sister Cities of Jasper also provided support to hire a new German teacher at Jasper High School, while encouraging the school system to continue to offer German at the middle school level. Sister Cities of Jasper also participated in the county-wide Strassenfest: a German-inspired street festival. The people of Jasper are proud of their Sister City Partnership and Dubois county is dedicated to the core values of Sister Cities. In 2017, the Culver City Sister City Committee (CCSCC) facilitated community-wide activities to foster international friendship and cultural understanding. In addition to elevating their relationship with Capo d’ Orlando, Italy from a friendship city into an official sister city during Culver City’s Centennial Celebration, CCSCC completed a student and runners exchange with sister cities Kaizuka, Japan and Iksan, South Korea. Culvee City sent two runners to Kaizuka for a marathon, and two Kaizuka runners came to Culver City for the Los Angeles Marathon. Six Culver City High School students visited Iksan, and middle schoolers from Kaizuka came to visit in July. CCSCC also hosted its first local Young Artists and Authors Showcase, and provided the local winner with a scholarship to attend the 2017 Youth Leadership Summit. Additionally, CCSCC continued to provide donations to support two orphanages in Mexico: one in sister city Uruapan and the other in Puerto Escondido. CCSCC’s acitivites last year have increased awareness and interest of Sister Cities in the community. Birmingham Sister Cities (BSC) successfully involved each of their 14 sister city relationships in meaningful exchanges in 2017. The exchanges included an educational trip to Ghana for local underserved students; a business exchange with Anshan, China linking high tech incubators with Birmingham Innovation Depot to develop projects like water permeable parking lots and medical assistant robots; a donation of medical supplies to the victims of ongoing war in the Donbas region of their sister city Vinnytsia; and other activities ranging from sports diplomacy to food and arts exchange. BSC also established a pilot “passport” program in two underserved elementary schools which aims to expose over 500 students to local international events and festivals. The widespread community support and success highlight the cultures that make up the local community, and gives local citizens the opportunity to become internationally aware and involved. Fort Worth Sister Cities International (FWSCI) conducted 19 outbound exchanges and 22 inbound exchanges with approximately 400 people in 2017. Outbound exchanges included visits to Fort Worth’s sister cities as well as exploratory missions to Jordan and Cuba in order to discuss beneficial partnerships and broaden the scope of the world for Fort Worth citizens. An exploratory mission to Nîmes, France initiated the decision to take on the French community as FWSCI’s ninth sister city. The City of Issaquah’s utility wrap program, where the work of local artists are used to wrap traffic signal boxes around the city, was expanded in 2017 to include artwork from its sister cities in Norway and Morocco. This cross-cultural project increased knowledge and awareness of Issaquah’s sister cities while celebrating the 10 year relationship with Chefchaouen, Morocco and rekindling the dormant relationship with Sunndal, Norway. Both Chefchaouen and Sunndal encouraged participation from their communities, and the selected artists’ work was unveiled for the annual Salmon Days Festival in Issaquah, with the artist from Sunndal attending as a featured artist. The utility boxes showcase the artwork and include a narrative about the art, the location of the sister city on a world map, the year the sister city was established, the country’s flag, and the mission of the Sister Cities Commission. By wrapping utility boxes with art from their sister cities, the City of Issaquah turned a positive community project into an extraordinary display of cross-cultural stewardship. Greater Columbus Sister Cities International (GCSCI), with the support of Columbus City Council, hosted photographer Emanuele Timothy Costa from Columbus’ sister city of Genoa, Italy who is best known for his “Thousand People of Genoa” project. His project is a collection of portraits of people in Genoa that create a sense of connection and understanding of people. In 2015, when Costa’s work was introduced to GCSCI during a GCSCI Young Professionals Exchange, GCSCI began planning for a two-week photo exchange of his work. Costa provided his portraits from Genoa for an exhibit which was displayed at five local Columbus locations, exposing the people of Columbus to the people of Genoa. Costa also took portraits of the people of Columbus for an exhibit that will be displayed in Genoa, Italy in October 2019. Through the promotion of art, GCSCI was able to create an awareness of the sister city relationship with Genoa, and allowed a variety of local organizations to collaborate and unite the community. Hendersonville Sister Cities (HSC) established the Hendersonville Student Ambassador Travel Scholarship in conjunction with Hendersonville Sister Cities’ 10th Anniversary celebration. The scholarship provided assistance to local high school, college, and graduate students between the ages of 16-26 to travel abroad for the purposes of education, internship, or work study. In its inaugural year, the scholarship program received applications from 13 local students ranging from high school to graduate school. HSC awarded a total of $3,000 to five local students studying abroad in coming semesters. The program will allow students to immerse themselves in a country that primarily speaks a different language, and travel internationally for the first time. The students will serve as global ambassadors to their peers and community. Through this scholarship opportunity, HSC is widening the perspective of its local youth who are not usually exposed to other cultures. In 2017, the Highland Park Sister Cities Foundation (HPSCF) established Virtual Classrooms: a program to connect students in Highland Park with students in sister cities Puerto Vallarta, Mexico and Modena, Italy. The two virtual classrooms (one for each sister city) engage middle school and high school students to learn about their sister city counterparts and culture through the medium of poetry. Both the middle school and high school classrooms took turns sharing poems by poets from their respective countries and answering study questions to promote analysis of the poems. The project was enthusiastically embraced by students and teachers alike, and reached more people in the Highland Park community than their in-person exchanges. The HPSCF virtual exchange program is an outstanding example of how citizens can find alternative ways to connect “face-to-face” with other countries and cultures. After deciding that strengthening the relationship between Houston and sister city Guayaquil was a priority, the Houston Guayaquil Sister City Association (HGSCA) established a science and technology-based relationship between Rice University and Escuela Superior Politécnica del Litoral (ESPOL) in Ecuador. The relationship gave opportunities to Ecuadorian and U.S. students pursuing doctoral degrees in STEM careers to foster collaborative research relationships with their sister city counterparts. In 2018, the first doctoral student benefiting from the agreements is expected to arrive in Houston, and it is expected that around 10 Ecuadorian students pursuing doctoral programs will enroll at Rice University starting 2019. Due to the planning and execution of this project, the two cities have opened doors in other areas such as tourism, trade, business, and civil engagement that will have a positive social and economic impact for both cities. Thanks to relationship-building between sister cities Indianapolis and Hyderabad, India for the past couple of years; Infosys, an India-based global tech giant focused on executing strategies for digital transformation, chose to position their first ever U.S Tech and Innovation Hub in Indianapolis in 2017. This hub is anticipated to create 10,000 U.S. jobs and marks the largest IT deal made in the history of Indiana. Additionally, Infosys announced the erection of their cutting edge Education Center on a 70.5 acre site that was formerly an Indianapolis airport terminal. The center will provide American workers with skills for the digital future. The Atlanta – Montego Bay Sister Cities Committee (AMBSCC) has directly impacted the lives of Jamaican citizens in education, technology, and medical care delivery for 25 years. In 2017, AMBSCC focused on providing humanitarian assistance to Montego Bay residents through health care and education. AMBSCC worked on a model for effective integration of technology into schools within the Montego Bay communities. The model would provide equipment and training to students and parents to provide them with skills to engage in a digital world. AMBSCC also provided extensive medical care to the Montego Bay community including providing medical equipment, basic necessities, medication, and treatment to over 2000 people in more than 23 local health centers and a homeless shelter. AMBSCC also provided classroom supplies, a new industrial range, and computers to local Montego Bay schools, and continued their scholarship program for Jamaican students to help them complete educational programs. Aspen and sister city San Carlos de Bariloche, Argentina have conducted an annual medical exchange program since 2003. The program began after medical professionals at Zonal Ramon Carillo; a public hospital located in San Carlos de Bariloche, Argentina; requested assistance from Aspen due to the pressure of providing medical care to over 300,000 people in their community and surrounding region. In 2017, delegations from each city visited Aspen and Bariloche to view demonstration surgeries and discus medical practices with professionals in their respective fields of physical therapy, pharmacy, nutrition, anesthesia, and orthopedics. Additionally, Dr. Mark Purnell, the director of the Aspen Bariloche Medical Exchange Program, was named an Honored Guest of Bariloche to honor his fifteen years of service to the community. The medical exchange program helps to improve medical services to over 300,000 patients in the Bariloche community, and has enabled professionals in both cities to better serve their patients. The Cincinnati-Kharkiv Sister City Partnership (CKSCP) produced a video called “Cincinnati to Kharkiv, People to People” to show how Cincinnati citizens have assisted their counterparts in Kharkiv as they navigate their transition from being part of the Soviet Union to being the newly independent country of Ukraine. CKSCP has been providing professional and technical assistance to Kharkiv on multiple levels. At the formal level, CKSCP has secured U.S government and other prestigious grants, such as Community Connections and Open World, to provide professional programming. At an informal level, CKSCP provides professional and technical assistance at the level of one-on-one contact. CKSCP’s video has created more awareness within their community of the extensive work they have done in Kharkiv and the strong bond between their cities. 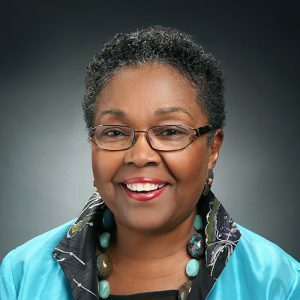 LueRachelle Brim-Atkins became the president of Seattle-Limbe Sister City Association in 2014, and since then has helped the organization launch an ambitious initiative to deliver thousands of handmade, reusable feminine care kits for use by schoolgirls in Cameroon, as well as build two wells for schools in Limbe. As president, LueRachelle has led SLSCA in creating a cross-cultural, multi-racial, multi-gender, intergenerational, interfaith organization that has grown steadily over the last four years. Prior to LueRachelle’s leadership, the SLSCA had approximately 12 members. By the end of 2017, SLSCA membership reached active 250 members at varying levels, including many students. LueRachelle tirelessly promotes SLSCA and inspires action in the community. She is a true model of what it means to be a citizen diplomat. Ria Grewal is the current Youth President at Santa Clara Sister Cities Association (SCSCA). 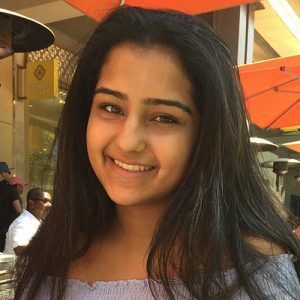 Ria has been involved with SCSCA for the past three years and, as a youth leader, she expanded the involvement of Santa Clara youth in the grassroots efforts of citizen diplomacy in the local community. She has facilitated and mobilized student volunteers for multiple fundraisers for sister city delegation trips to Izumo, Japan; Coimbra, Portugal; and Limerick, Ireland. She is also instrumental in planning youth exchanges to Santa Clara’s sister cities, and has hosted many exchange students in her own home in return. Her dedication has certainly increased the number of youth participants in SCSCA activities. She is destined to leave a positive mark on the Santa Clara community. No Replies to "2018 Annual Awards: Congratulations to This Year's Winners"